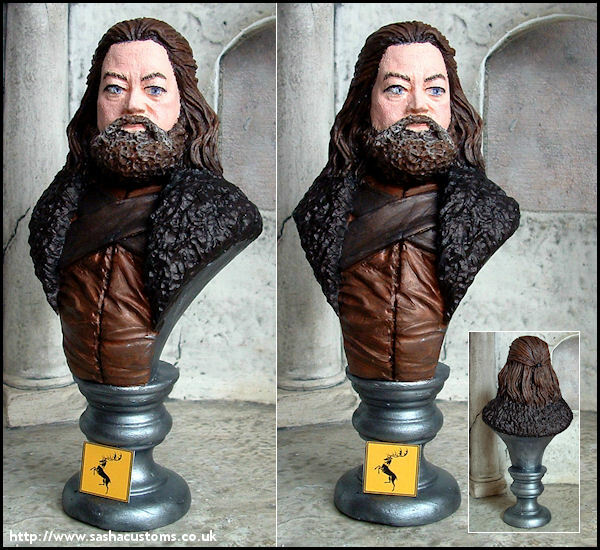 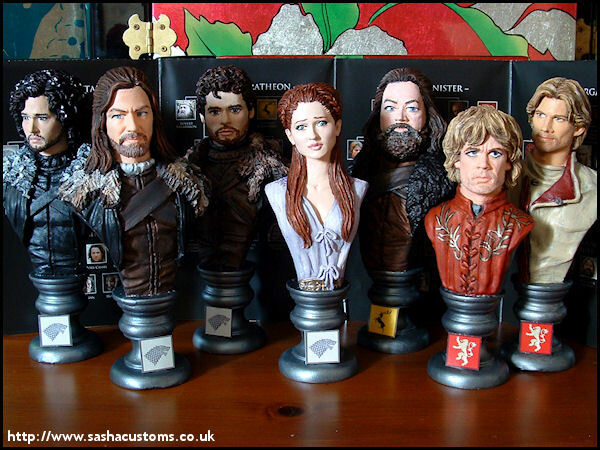 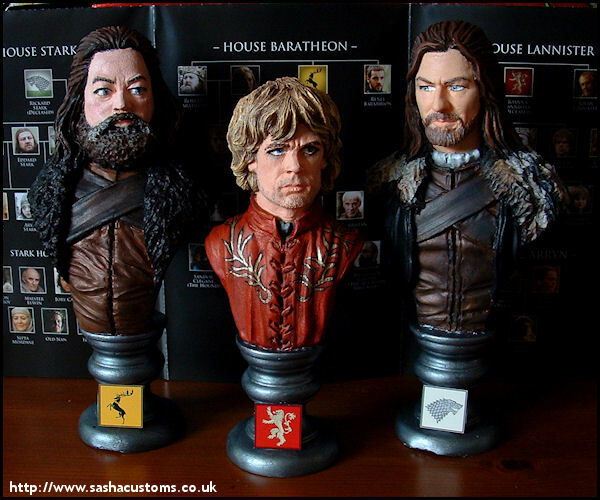 Sasha (aka MsBig) has produced a range of exclusive busts for the HBO series "Game of Thrones." 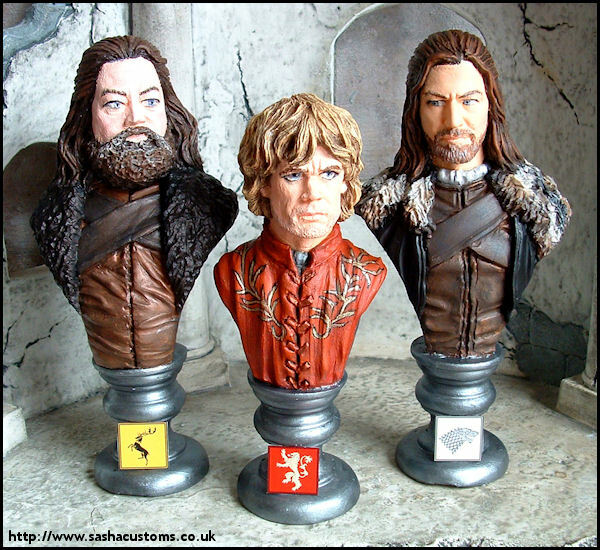 King Robert Baratheon journeys to Winterfell to ask his best friend, Ned Stark, to serve as Hand of the King. 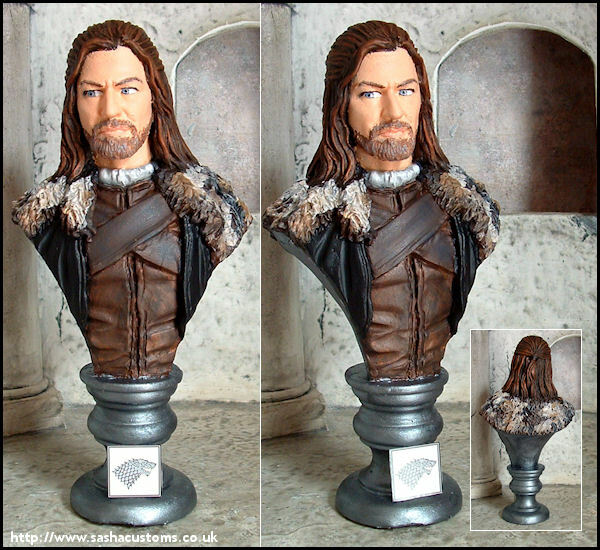 Ned Stark welcomes King Robert and his retinue to Winterfell. 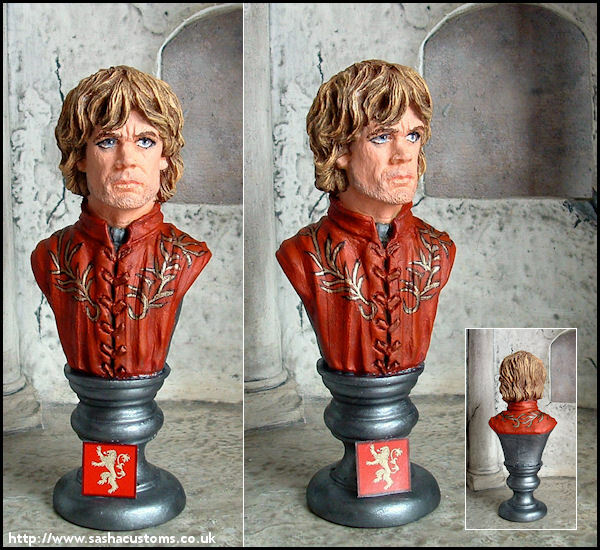 Tyrion Lannister accompanies his brother and sister to Winterfell in the retinue of the King, but he's not the most well-mannered courtier.